I’m no stranger to meal delivery services. 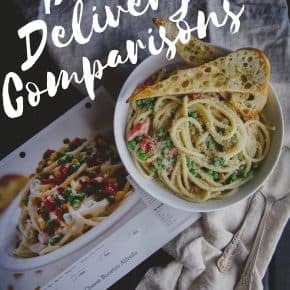 In fact, I shared a post reviewing 6 different meal delivery services (since then I’ve tried probably 12!) 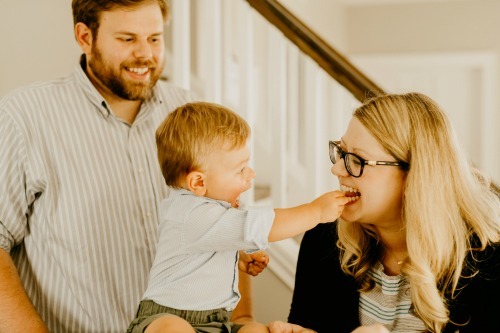 I love them, they’re true meal lifesavers for busy families. One thing that was missing from the services I was trying? A healthy meal delivery service! So when I heard about Sun Basket from one of my fellow mom friends, I definitely had to give it a try. I was so impressed, so today I’m going to share with you the best healthy meal delivery service review. 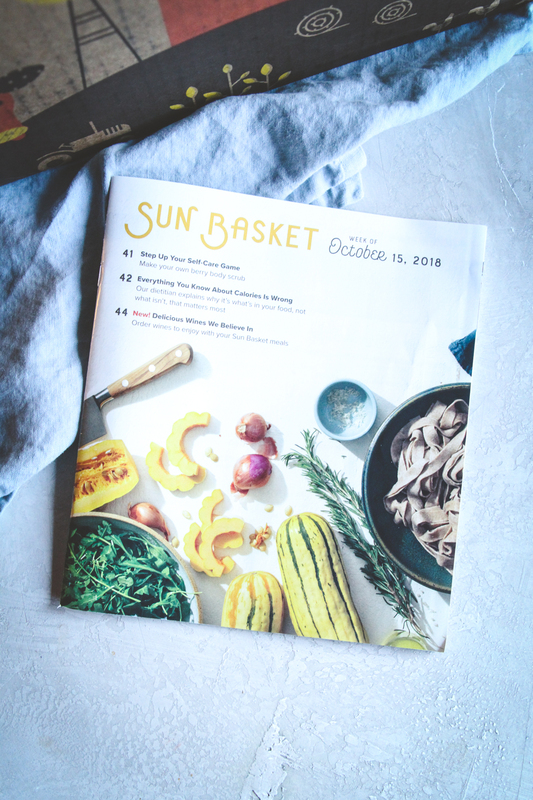 Before even trying the meal delivery service, one of the things I loved was that I could view the Sun Basket menu without having to sign up! I immediately noticed that there were so many special diet friendly options (Paleo, Lean & Clean, Gluten Free, and Vegetarian meal plans). Of course, if you don’t need or want a specialized eating plan, then Sun Basket has Classic Family Plans too. I’ve noticed that in general the calories per serving were a lot lower than some other services I’ve used. Don’t get me wrong, I’m all about carbs and cheese and whatnot, but sometimes I just want a healthy meal that’ll taste good, and that doesn’t take that much thought on my part! That’s where Sun Basket really excels and differentiates themselves, in my opinion. Another thing that really stood out is that Sun Basket offers organic produce! 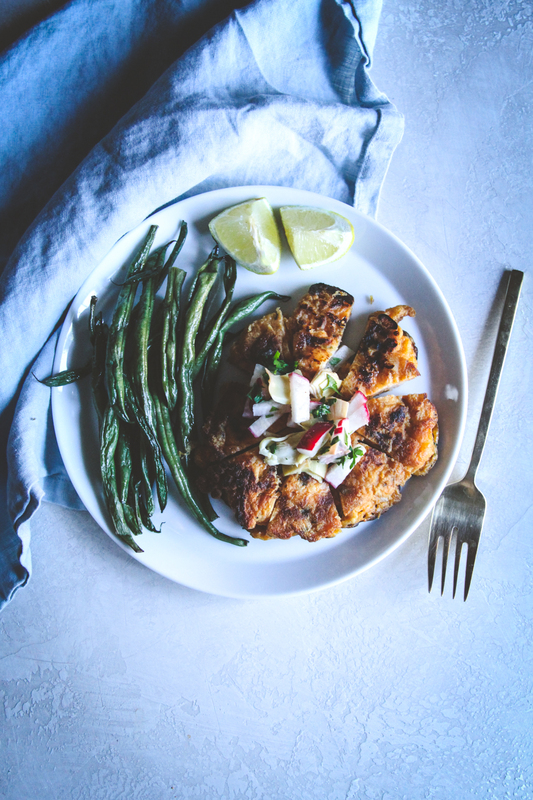 Meal delivery services for me are all about convenience and trying new flavors that I normally wouldn’t on my own. I love perusing the menus and trying new flavors. I also love that it really takes the thought out of ‘what’s for dinner?’ after a busy day at work. 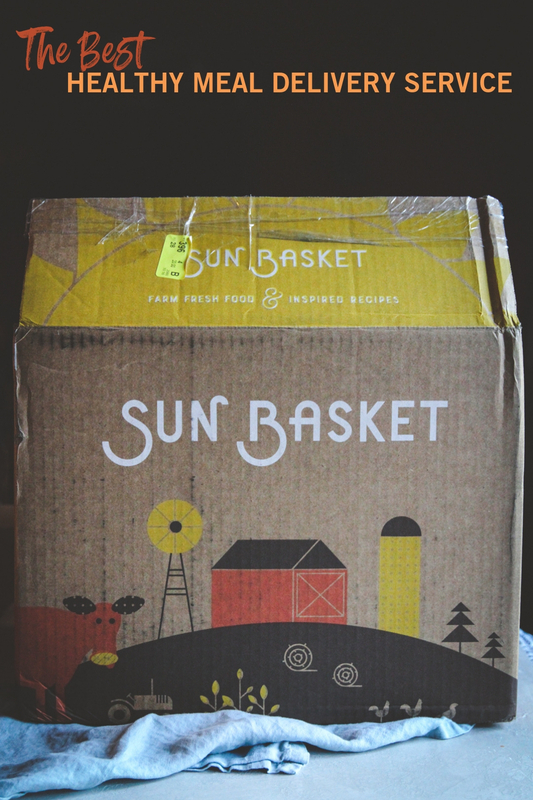 I purchased some Sun Basket meals and when the box arrived, I was so excited to try the service. All the other meal delivery services I’ve tried, they had menu cards, individual cards for the recipe. They would float around the kitchen and sometimes get lost in the shuffle of papers. What does Sun Basket have? They have a magazine! That’s right! 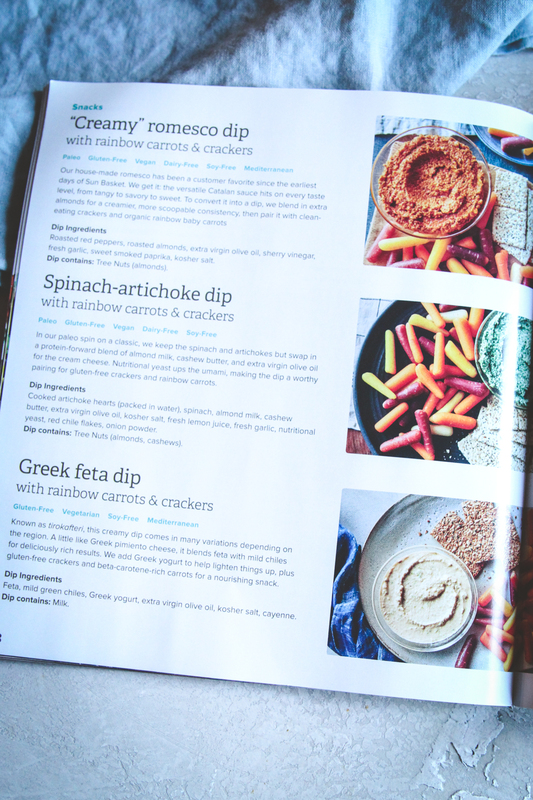 A legit magazine that shows all the recipes and has articles and different tips and tricks for healthy eating in it! It was so nice! 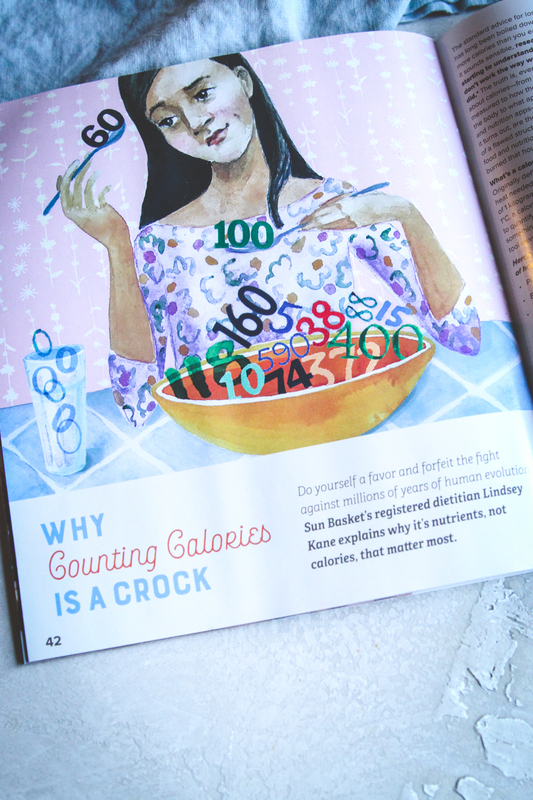 While I was cooking, I flipped through the magazine and learned several really neat tips and tricks for healthy snacking and even made a recipe with ingredients I had in the house. The food? Absolutely delicious. It didn’t taste ‘healthy’ at all. We had some super unique Spanish shrimp cake, I loved it, my husband loved it, and even my 16 month old son loved it (he kept taking little pieces from my plate, it was the cutest thing ever). Everything I’ve made so far has been tasty and delicious. Something else definitely of note was that they sent an egg. 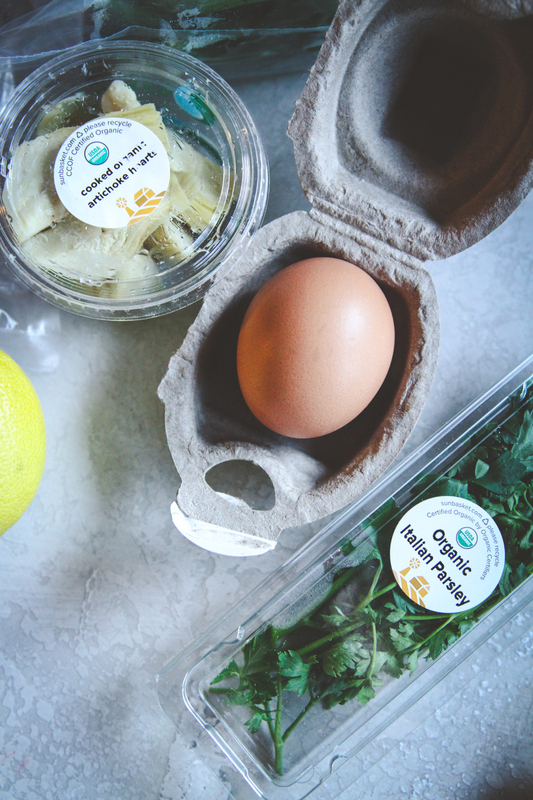 One of my biggest annoyances with some meal delivery services (which I mentioned in my roundup, and many others commented in agreement) is that they don’t send eggs when the recipe calls for it! So Sun Basket got major points on that! 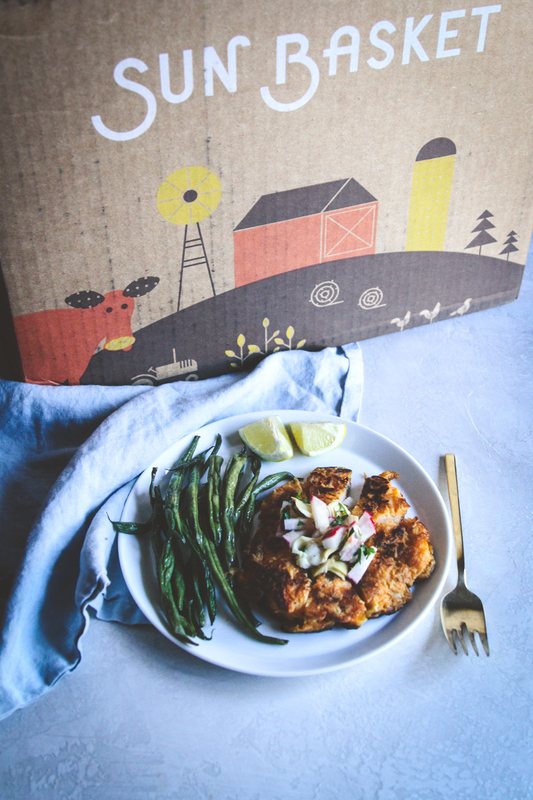 I’d love to hear from you in the comments: have you ever tried a meal delivery service? If you’re looking for the best healthy meal delivery service, I’d highly recommend giving Sun Basket a try. Disclaimer: This post is not sponsored, all opinions are mine alone. Some of the links above are affiliate links, meaning I will earn a small commission (and you’ll receive a discount) if you purchase through the links. 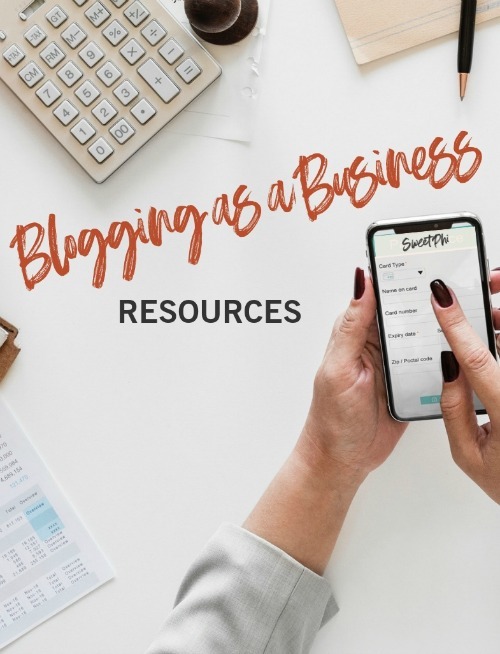 Thank you for supporting the brands and products I love, which make the SweetPhi blog possible. I haven’t tried a service. I have thought about it. Thanks for the information. I love meal delivery services, they’re so helpful! Do they deliver nationwide? All states? I live in Milwaukee, WI…..available here? It’s a recipe service. I’m looking for meals to heat. Hi Joseph, yes, Sun Basket is a recipe meal delivery service. I tried a service called The Good Kitchen – they do fully prepared farm to table meals. They’re fresh meals, but you can put them in the freezer when you get them to extend the shelf life. I’ve gotten these meals several times now, and they’re super good (they are on the healthy side)!! The meals were really delicious, albeit a little pricey. I emailed them and they’re offering SweetPhi readers 15% off on their first order using code PHI15. I am a diabetic and live in a small town in Montana. We don’t have USPS delivery but we do have UPS or Fed Express. 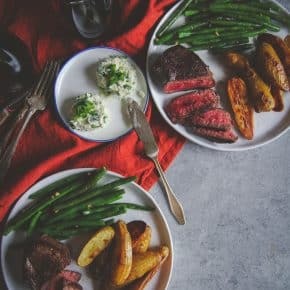 What is the best home meal delivery for me?